1 Bedroom with 1 Hall & 1 Kitchen. 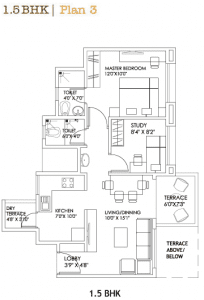 Explanation – Bedroom smaller than the standard size. Normally they are recommended as library or study room. But it can be used as bedroom. 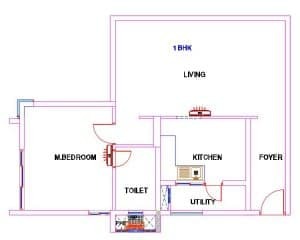 Plan: Same as 1BHK just bedroom size is smaller than standard size. Explanation – 1.5 indicates 1 bedroom (standard size) & 1 bedroom (0.5). Full form – 2.5 Bedroom, 1 Hall & 1 Kitchen. 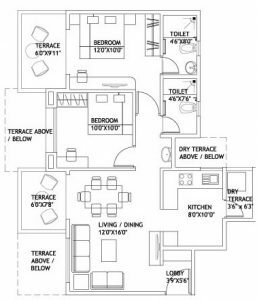 Plan: Same as 1.5 BHK layout but have one more bedroom. 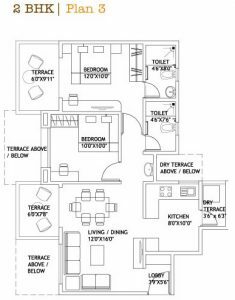 Explanation: Studio Apartments have this types of layouts. It has 1 room which is used as living room & 1 kitchen. 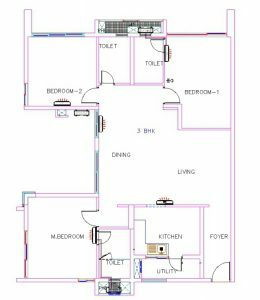 Full form: 2 Bedroom, 1 Hall, 1 Kitchen & 2 Toilets. Full form: 3 Bedroom, 1 Hall, 1 Kitchen & 2 Toilets. Plan: Same as 2BHK 2T With 2 Toilets. Full form: 3 Bedroom, 1 Hall, 1 Kitchen & 3 Toilets. 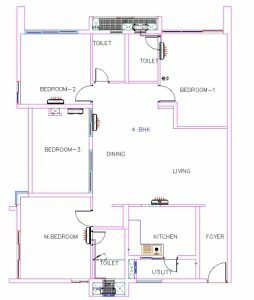 Explanation: 3 Bedrooms, 1 Hall, 1 kitchen & 3 Toilets ( 1 common & 1 attached with master bedroom). 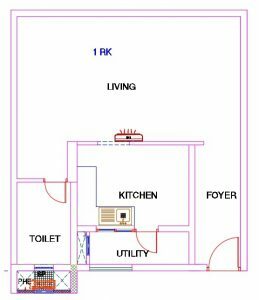 Plan: Same as 2BHK 2T With 3 Toilets. Also Read: Duties Of Civil Engineer In Building Construction Site. If you found this article helpful then please share it with your friends. so good to know, w/c stranded too? Nice great information and drawing .so regularly send such type of details..